A guide on all the 4 gold-cost heroes in Dota Auto Chess. I will explain their usefulness, special abilities, synergies, and place in the current meta. In a game with several heroes such as Dota Auto Chess, some units are always stronger than others because a perfect hero balance is never attainable. You may want to utilize a particular chess piece even if not optimal because if fits your strategy, it counters a certain class, or it is the last unit you need to achieve a synergy. At the end of the day, almost all the pieces can be useful. Kunkka’s Ghostship is one of the best AoE abilities in Auto Chess. It is almost on par with Tidehunter’s Ravage because they both damage and disable the opponents, but Ghostship is less reliable due to its random placement, so the hero doesn’t deserve a higher gold cost. If you require more crowd control, I suggest adding Kunkka to your lineup even if he has no synergies with the other chess pieces. If placed correctly, he can pull out two successful boats during the same round, greatly increasing your team fight capabilities. He works well in combination with other disablers who can keep the opponent in place, such as Axe. Doom is one of my preferred demons: he fits well in a warrior strategy and has a powerful single-target ultimate. Place him on the front line to charge his ability as soon as possible and completely disable an enemy, preventing him from casting his own spell. Depending on the opponent affected, this ability could change the outcome of the battle. Disruptor’s Static Storm silences and damages the opponents in an area. Even if he is a ranged unit, it is mandatory to place him on the front line, so he will get attacked and gain mana quickly. If played together with other orcs, the species synergy drastically increases his maximum health points, making him and the whole orc lineup a lot tougher. In such a situation, it is not unusual to activate his ability even two times during a single round. The shaman combo with Shadow Shaman is useful as they hex a random enemy at the start of the battle. 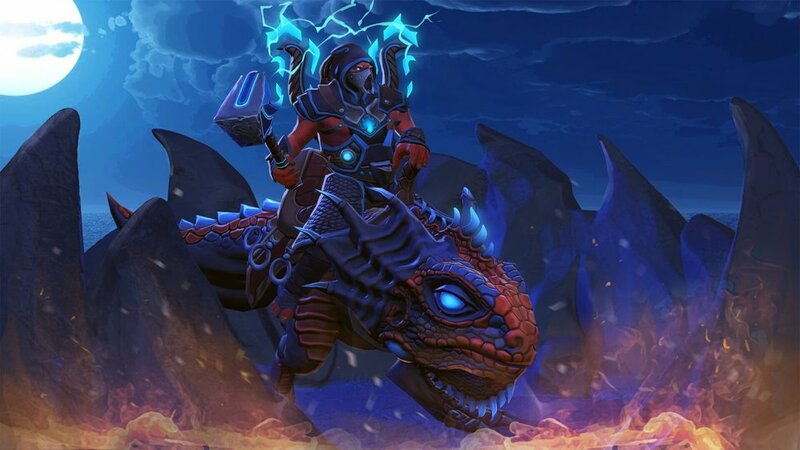 I believe Disruptor will remain a top pick in Auto Chess unless the radius and duration of Static Storm will be heavily nerfed, as this ability counters numerous strategies. Lone Druid is among the tankiest units in the game if you consider the combined health pools of the hero plus the summoned Spirit Bear. Many players underestimate the usefulness of the latter: the bear doesn’t just tank damage, but also disables the opponents attacked thanks to the passive Entangling Claws. If you are playing a druid strat, finding Lone Druid at level 5 will dramatically improve your chances to win the match as it allows you to upgrade quickly the remaining druids to 3-star units. Even if you are not using druids, he is a powerful solo unit. I believe that two 2-star Lone Druids on the front line are among the best tanks you can have in most teams. Troll Warlord is a great chess piece both for a warrior and a troll lineup. The passive Fervor increases his attack speed based on the number of attacks against the same opponent, so he is able to melt the enemies one at a time. He is amazing both versus tanks and neutral creeps. Place Troll Warlord on the rear lines so he will be able to attack the opponents safely for as long as possible. Currently, the troll synergy is one of the best choices in the game, and it is very versatile because it requires only 4 units. Each troll chess piece has potential synergies with a different class depending on your needs and options. For example, Witch Doctor is also a warlock, so you could give your trolls lifesteal and grab Shadow Fiend, a warlock demon with an outstanding attack damage who can make a great use of the 30% attack speed bonus granted by the troll synergy to all allies. Dragon Knight is a strong hero who can be played on the front line in a knight lineup. He needs to be damaged as soon as possible to transform into a dragon and unleash his real power. If you have the remaining dragons (Viper and Puck), DK will start the match with 100 mana, transforming instantly into a dragon. In this scenario, I suggest placing him on the back lines and boosting him with DPS items, as his ranged attacks inflict splash damage. Medusa’s ultimate has a double effect: it disables the opponents and increases the damage of her allies. The naga synergy is useful in combination with heroes such as Tidehunter, providing magic resistance to the whole team. Necrophos is a convenient pick as a warlock. His special ability heals all the friendly heroes surrounding him. Upgrading Necrophos to a 2-star unit will immensely increase his performance. Alchemist has a solid AoE ability. He is a warlock and a mandatory chess piece to maximize the goblin synergy (which grants 15 HP and Armor to all friendly goblins). Templar Assassin is one of the best assassins in the game as she can survive for a long time in the enemy territory thanks to her ability Refraction, which grants extra damage and protects her against a certain number of attacks. She is a real nuisance in a 1vs1 situation. Keeper of the Light is the 4-gold unit with the worst AoE ability. I suggest avoiding him. Place him on a corner of the chess board so his ability will affect more opponents. This list shows the Dota Auto Chess heroes organized by class and species. It indicates synergies, cost, and pieces required. The list is updated periodically. A guide on all the 5 gold-cost heroes in Dota Auto Chess. I will explain their usefulness, special abilities, synergies, and place in the current meta. The chances to draw a specific unit in Auto Chess depend on their gold cost, the number of the same chess pieces in play, and your courier level. 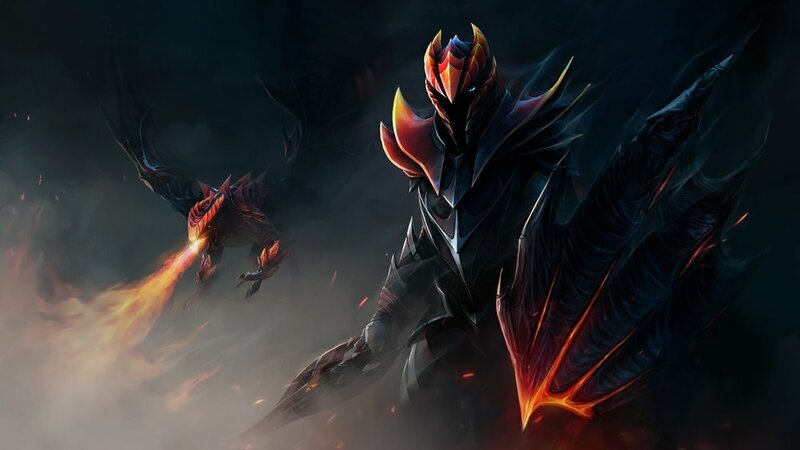 The Dota Auto Chess Tier List (April 2019) splits the hero units in five tiers based on their strength and usefulness. Updated monthly. The pick and win rates of all Dota Auto Chess heroes. The data is gathered via an official API, considers all regions and servers, and is updated periodically.